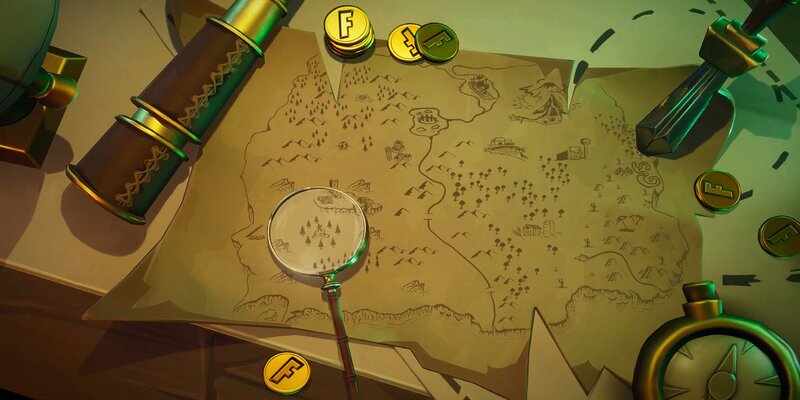 Find buried treasure and search where the knife points on the Treasure Map loading screen in Fortnite Season 8. 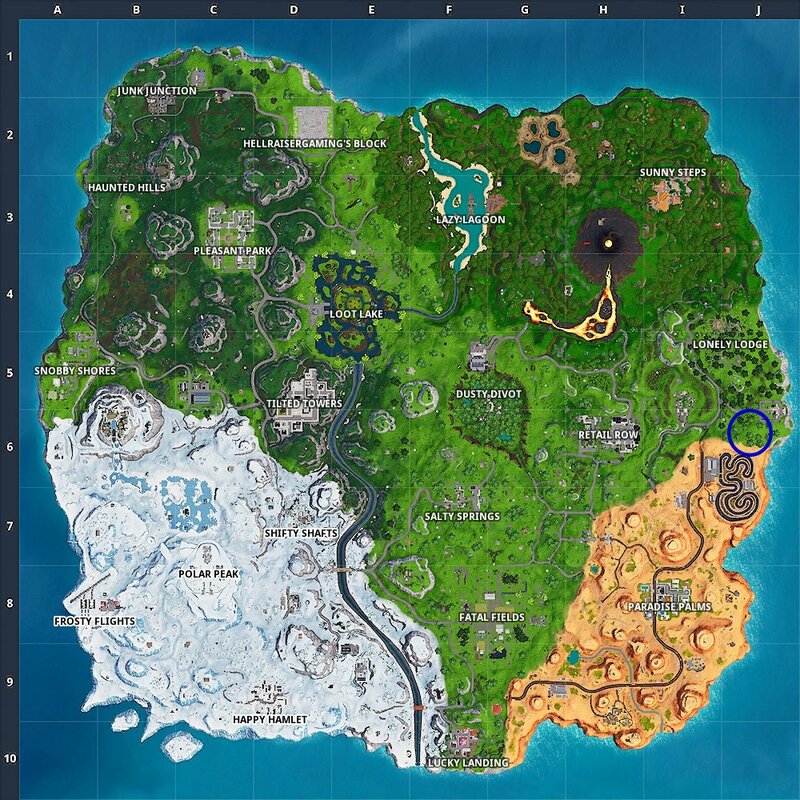 If you want to complete all the week 6 challenges in Fortnite Season 8, then you’re going to need to search where the knife points on the Treasure Map loading screen. Completing this challenge isn’t difficult, especially when you know right where to look. We’ve included all the info that you need to know below, so let’s dive right in and complete this challenge. To find this particular location and complete the challenge, you’re going to need to do a little digging. First, if you don’t have the Treasure Map loading screen, you’re going to have a hard time finding the spot. The good news is, we’ve included the loading screen below. The knife is stuck into the map just above the race track. As you can see in the image above, the knife is stuck in the edge of the island, just above the race track area. This means you’re going to need to drop into the map near this area. We suggest setting a marker just north of the race track, and then dropping out of the Battle Bus. This challenge can be completed by visiting the area we've outlined in blue. The actual location here is just outside of the desert biome, where the grass and hills start to appear once more. The spot you need to search is located on top of a small hill. The easiest way to find it is to look for the small black area on the ground and approach it. You should get a prompt to SEARCH the area. While you’re working to complete this challenge, make sure you also know how to visit a wooden rabbit, stone pig, and a metal llama, too. 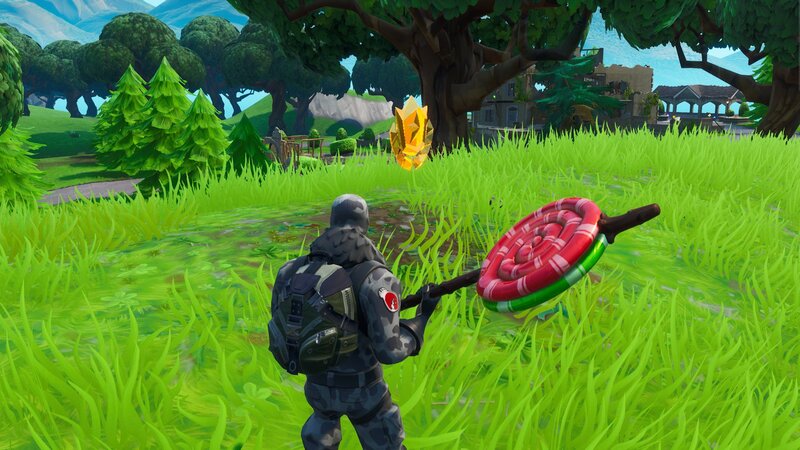 Once you search the area, the Battle Star should pop up, and you can grab it to acquire it and complete the challenge to search where the knife points on the Treasure Map loading screen. Now that you’ve completed the task, be sure to head back over to our Fortnite guides for more help completing all the week 6 challenges in Fortnite Season 8.